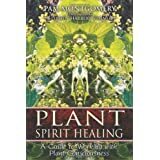 Plant Spirit Healing: A Guide to Working with Plant Consciousness ReviewThis accessible yet comprehensive book is a tremendous gift of both wisdom and practical application on how the universe actually works and how to tap in and play a part yourself. Plant Spirit Healing is about the difference between knowing about a plant (available through book learning and use) and experiencing its spirit - where you merge with it, communicate through an exchange of insights, and achieve a full and lasting relationship. This book benefits from Pam Montgomery having taught and honed this material many times. If you cannot take Montgomery's apprenticeship program and experience her own ebullient spirit, this book is the next best thing. Emphasizing that each person's knowing and experience of different plants may be different in what is really a Both/And, rather than an Either/Or, universe, Montgomery guides you to find your own plant spirit guides appropriate for this time in your life journey. Chances are who they are will surprise you. This remarkable book takes the reader on a journey from (possibly) skeptical interest in plant spirits, to plausible, to possible, to practical. At no point does the journey include religious overtones or spacey far-out suggestions. Montgomery builds a foundation based on physical and energetic qualities of both people and plants. Each new parcel of knowledge is presented in a flowing sequence based upon previously explained information. The trip is full of "of course" moments where you recognize that you already knew what she is presenting, but perhaps did not know where to place it in your established body of knowledge. As much as anything this book greatly expands and updates your established body of knowledge. Fine-tuning gathered from years of teaching workshops and apprentice programs has honed Montgomery's understanding of the pace and paths by which people can not only learn, but can experience and assimilate deeper knowledge. Her expertise allows her to lead the reader through these layers of knowing in the transparent, uncluttered, way that characterizes the best of guides. Despite years of loving plants, I would not have thought that there were so many ways to understand plants, or so many tools for deepening my relationships with them. Indeed, relationship is what this book is all about, including establishing, fostering, and nurturing actual relationships with plants. This includes being open, observant, respectful, and enjoying. It involves appreciating plants and learning from them and moving those relationships on to partnerships. This carries on the theme of Montgomery's previous book, Partner Earth (1997) in which she encourages humans to take responsibility and action to be co-creators and partners with Earth, rather than passive children of Mother Earth. At one point in Plant Spirit Healing Pam likens establishing a new relationship with a plant to a relationship with a potential lover. Just think about that. It includes breath exchange, attention, respect. One is open, observant, eager to learn all one can about this person who suddenly seems to glow with light. One is gentle and respectful and wants to spend every available moment with the new love, gently growing knowledge and love and a shared history, exploring all facets and aspects of the beloved. The book's organization is clear and accessible. Different learning modes are accommodated as each chapter presents the material in three modes. Chapters begin with a journal entry from Montgomery's daily interactions with nature and how it feeds her developing wisdom. We catch a glimpse of her slipping into communication with plants and the landscape. Next, the bulk of the chapter is a descriptive exposition of the topic. This is followed by examples which illustrate the ideas and techniques just presented with experiences Montgomery has had with her clients, or that her students have experienced. The book is divided into three parts, The Theoretical Basis for Plant Spirit Healing, The Practical Application of Plant Spirit Healing and Plant Allies, a section on specific plants. Christian Hummel recently wrote "We are living in a time when ancient principles that have been espoused for ages from Vedic texts to Native American philosophies are being validated by science - a meeting point between science and spirituality where these principles are being tested and proven to be true." [July 2007 Wisdom magazine p. 28 "Accessing the Creative Matrix: The Secret to Healing the Earth" ] Montgomery presents much of this material in Part One by distilling and presenting the essence of a large and varied body of new scientific information in an accessible format that relates to plant spirit and communication. She has gleaned knowledge from others - both ancient traditions and recent science - and incorporates it straightforwardly for easy absorption without being academic. Part Two is a practical journey where actually meeting and getting to know plants is facilitated with a range of different techniques. Part Three introduces the plants as their fully embodied selves giving a sense of the expansive beings they are. Plant Spirit Healing teaches about how sprit moves in the world, thus bringing spirit into reality, instead of keeping it in the abstract realm of religion. We are given a handbook to understand the wonder of plants, and a guidebook of practical techniques and exercises to form personal, intimate, real relationships with plant beings whose importance, variety, beauty, gifts and outright wisdom are usually ignored. The result reminds me of my joy at the animal tracks revealed by the first snowfall in what has been a gray and lonely November landscape. The joyful feeling of not being alone. The deep knowledge that I share this landscape with other beings who are aware of themselves, who live full and interesting lives, and who are open to knowing me and interacting with me. Plants have been calling to many of us for the past several decades. Chances are they are somehow calling you as well. This is a guidebook to answer that call, probably in a deeper way than you ever imagined. By the time you have read it you will have established relationships with plant beings, taken a deep journey and found missing parts of yourself. Want to learn more information about Plant Spirit Healing: A Guide to Working with Plant Consciousness?